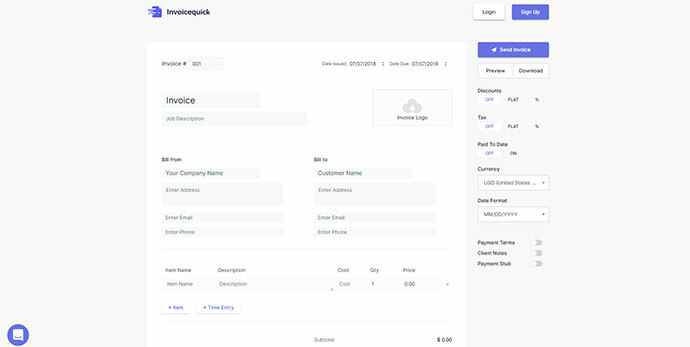 Whether you are a designer or developer, you really need a good free invoicing app that simplifies your invoicing process & also saves lot of your time & money. 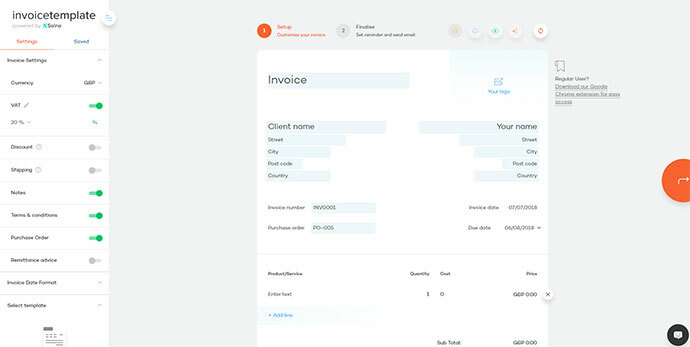 So here are 10 Best Free Invoicing Apps For Developer & Designer to save your time managing your invoices. It is a simple and convenient web based project management and time tracking tool for managing projects, invoicing, tasks tracking and monitoring your work. 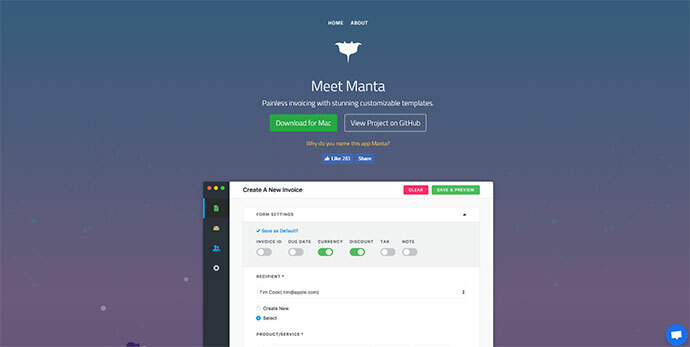 Flexible invoicing desktop app with beautiful & customizable templates. 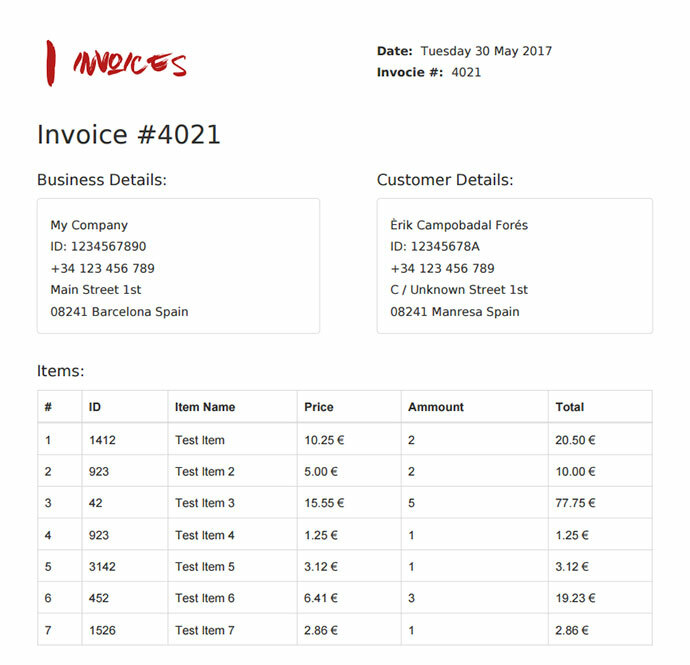 Create free and unlimited one off invoices using this little Invoicing app made with Angular JS. 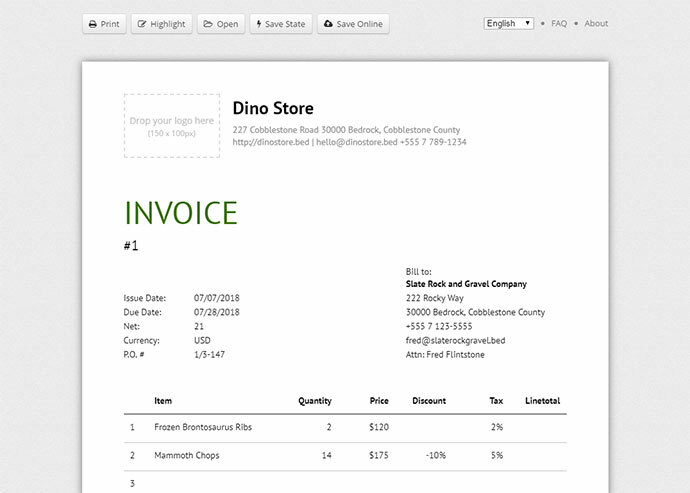 This is a free, online tool for small business owners that allows you to create and send beautiful invoices in seconds. 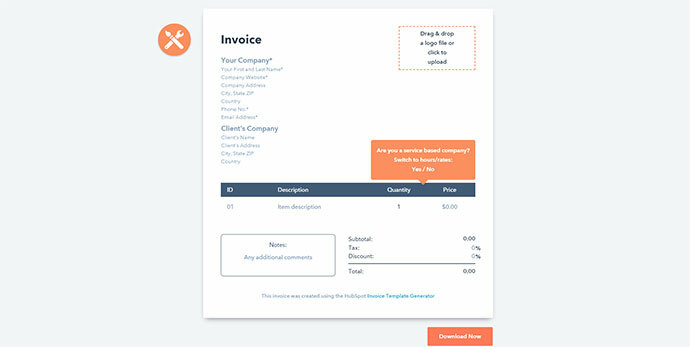 Use this free invoice generator to create professional invoices to send to your customers in minutes. 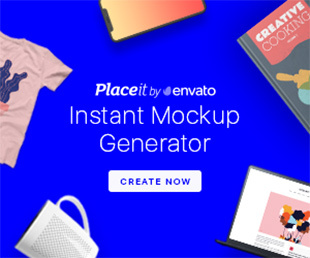 Simply fill in your business details, customize your color scheme, drag-and-drop your logo, and download your invoice as a PDF to be emailed or printed and sent. All fields are customizable, making it easy to switch between goods or services. 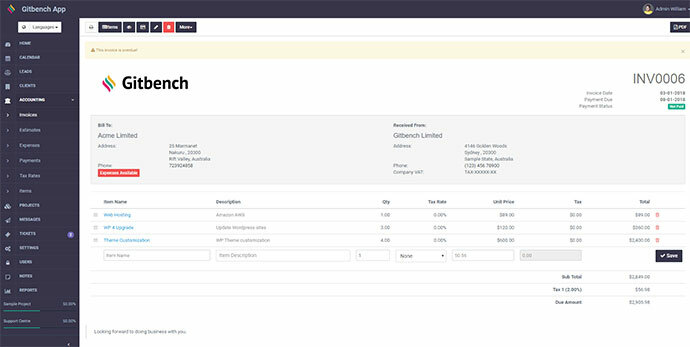 It is an open-source application that allows you to manage clients and contacts and send invoices and quotes. 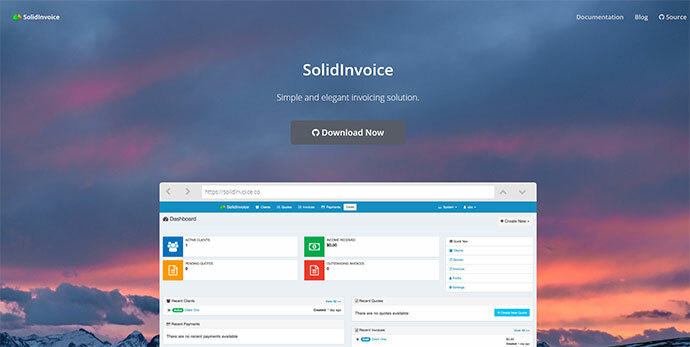 Create beautiful invoices on the go & have them sent out for payment immediately. 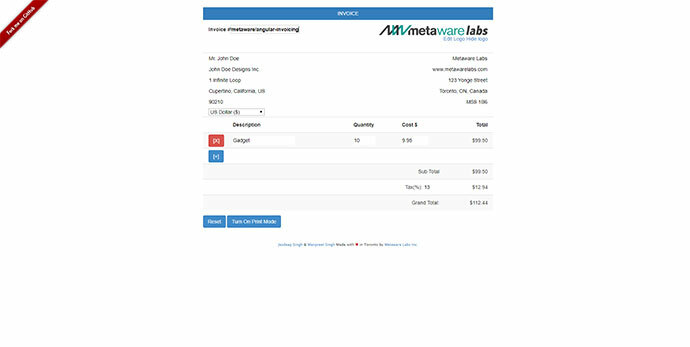 Create free invoice templates and download invoice PDF’s. 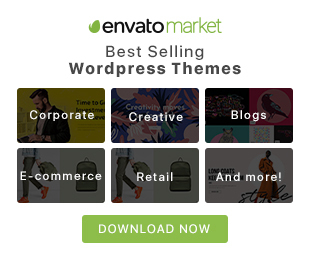 Email invoices and get paid faster using the best free invoice maker online. 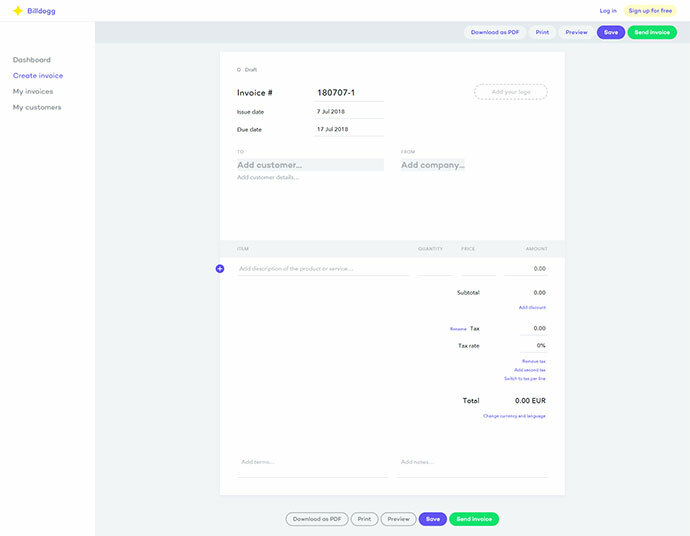 This is a Laravel library that generates a PDF invoice for your customers. The PDF can be either downloaded or streamed in the browser. It’s highly customizable and you can modify the whole output view as well. 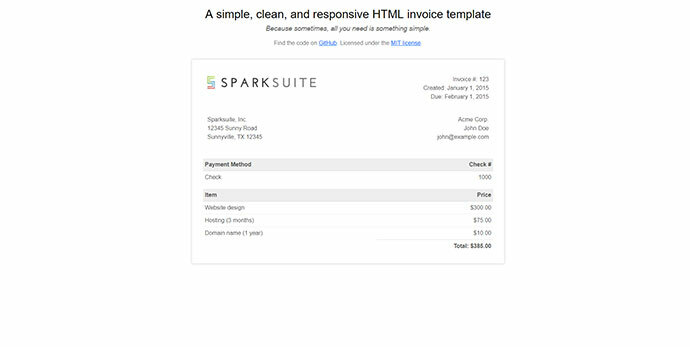 A modern, clean, and very simple responsive HTML invoice template.